Pemuteran Dive spot & Menjangan Island we listed for guest of Taruna home stay who want to dive or just snorkeling with an experiences for the best diving excursion in North Bali. We organize daily diving or snorkeling trip to several dive site around Pemuteran area. 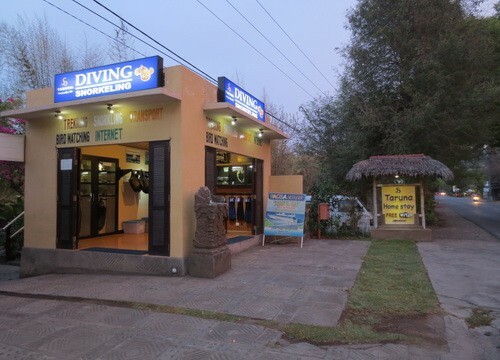 For Non experienced diver, we offer program Introductory Dive to our guest who want to experience breathing under water.